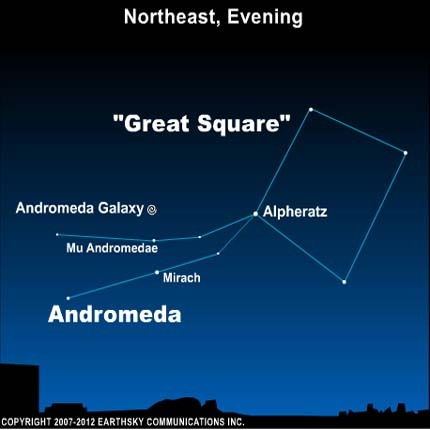 Andromeda, the nearest galaxy to our own, is the farthest point in the night sky, visible to the human eye. Andromeda, 2.5 million light years away, guaranteed to set you pondering once you’ve trained your eye to settle upon this wonder. The link below is lots of help if you don’t know where to look for it.